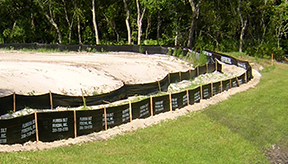 Bio-Tech Consulting helps clients maximize development opportunities, lessen environmental impact and minimize project timeframes. Bio-Tech Consulting guides its clients through the increasingly complex and rapidly changing permitting and compliance processes. 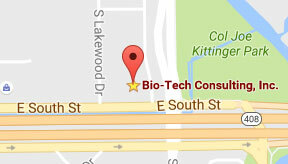 Contact Bio-Tech Consulting today. With offices across Florida and clients throughout the Southeast, we’re ready to help. You have a vision – a comprehensive project, a much-needed permit, conservation and management of an important natural resource… We have a mission – to deliver better, sustainable development and management through sound environmental science and technical expertise. 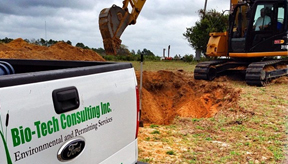 Bio-Tech Consulting is a full-service environmental consulting firm headquartered in Orlando, Fla. with offices across the state and clients throughout Florida and the Southeast. Our team of scientists, planners and project managers works to guide all of our clients through successful permitting and compliance processes on local, state and federal levels. For Bio-Tech Consulting, our mission is accomplished when our clients maximize development opportunities, minimize timeframes and achieve ecologically sustainable solutions.